Without this mod, all the squadron info is in SFS files. Most of the missions that I make for myself take place from 1939 to early 1943. My PC is pretty limited, so I mostly use the BOF map, and the Circus maps for the Western front. The Cross channel and the BOB map end up running like a slide show. The Biscay map is even worse with my system. i tried to do as per your guide on my Modact version, but with the earlier FC version, but nothing happened, the new squadron didn't appear in the list. will try later using the newer FC version. I tried to add 219 squadron, that flew Beaufighter 1F's, out of Tangmere, in late 40 & 41. I followed all the steps, but couldn't get it to work. Either I did something wrong, or there is more to this, than I thought. I will try to make 219 work.....or die trying. I copied a "file" file and a Tga from a working RAF squadron that was named XXSqn. I renamed them 219Sqn. 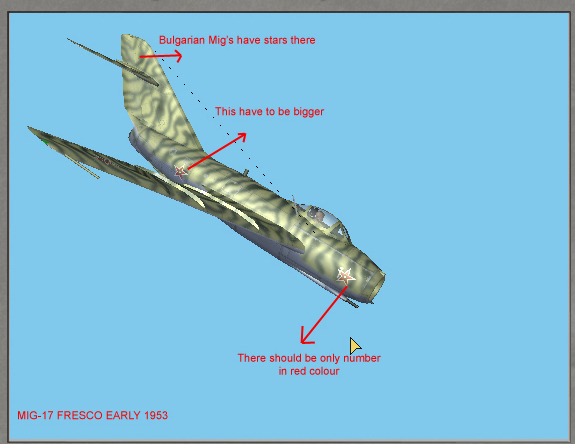 It didn't work because I should have renamed them both 219Squadron because that was how I made all me entries in the Regiments.ini, and all the regInfo and regShort files. what exactly does this mean? is it a squadron that doesn't have a unit 'badge'? i just need a bit of clarity on that one, please....far as i can tell, all the squadrons (in FC) have a unit tga and 'file' file. in my case, i wanted to create a fictional SAAF squadron, Malones Marauders. i made the necessary changes in regInfo, regInfo_ru, regShort and regShort_ru. then, i took a squadron tga and its associated 'file' from the Paintschemes/Red folder, pretty much at random (that's the bit i'm unsure of), renamed them to MaloneMarauders, changing the squad code in the 'file' file, and put them back into the Red folder. oh, btw, i might move these last few posts to tech help at some point, don't want to clutter up the main thread with my little problem. edit: i also just tried a straight-forward change to an existing squadron code, with no success....would this only work for a newly-created squadron? ??? Most of the tga's have no image on them, but some have a squadron "badge" on them. I also noticed that a few of the tga's are only a few bytes. I don't use those. I use the blank tga's and rename then to the squadron I want to make. If I was going to make up a new SAAF squadron, I would carefully look at some of the existing ones and try to duplicate exactly how they look. The key is the "file" file. You have to open it and make sure all the squadron info is in there correctly. I'll try to take a look at the SAAF format tonight, when I get home. OK, I'm learning things as a go along. Here's what I've got so far. I have a new SAAF squadron #99 with the squadron code MM. Step#1 Go into the Red folder and copy the 25SqnRAAF "file" file to your desktop. Step#7 use QMB to test. I used squadron 99 for no special reason. You can make it whatever you want. I used MM as the squadron code for Malones Marauders. (again, use what you want. All this thinking is making my brain overheat. I need to get in a Spit from 266 squadron and do battle with some ace 109's. thanks G - lol, yeah, it can get a bit much at times, this modding business....good idea to go and fly for a bit, and forget al about all the little bits of code that run in the background to make it all happen. i'll give your latest tips a try, and carry on experimenting from my side, as well. If you follow my instructions above, and make the proper entries in the Red folder, and the regiments.ini file, you will get that new squadron in the SAAF. Next......If you want the squadron to show as the Malones Marauders in your pull down screen, do this. You will see "99 Squadron Malones Marauders SAAF" in the pull down screen. I am using 4.09m with the SAS mod, but I can't see why this wouldn't work with UP. 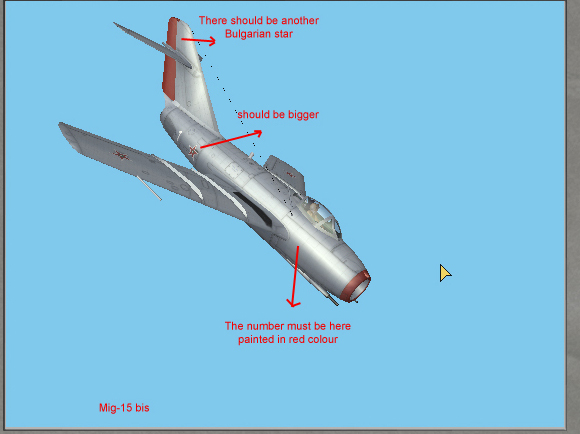 Bulgarian markings are little wrong on Mig's planes how can i change the number's location? and remove the decals from the wings ?